Big snack manufacturers are trying to help us out with our weight-loss programs and diets with pre-packed 100-calorie snack bags. But have you tried them? They taste like Styrofoam. And, look how tiny the bag is! You’re left with your hand in an empty bag, wondering what happened to the loot, feeling sooooo hungry! Chocolate-covered banana. 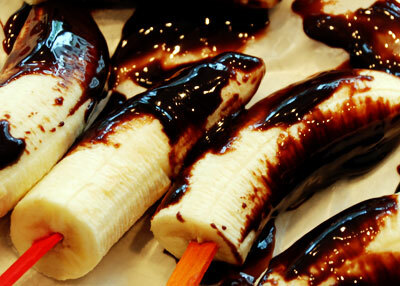 Cut banana in half, dip in low-fat chocolate syrup, and freeze. The kid in you will like it when you stick a Popsicle stick on one end. Goat cheese on two slices of Melba toast. 1 cup of frozen grapes… delicious in the summer. Flavored herbal tea. Read more about how tea can help you to loose weight here. Cucumber slices dipped in low-fat yogurt seasoned with dill, salt, pepper and thyme. Life can be so simple sometimes. OK. now tell me your favorite, because I’ve got all these boys that will be home from school all summer, and I have to feed them all day! Also, if you’re looking for a way to keep the kids occupied in the car, or during summer vacation, get your own free download of the award-winning audio adventure “Billy Brown And The Mystery Package.” Read more about Billy Brown, here. They sure do look sinfully good! Grapes are a real summertime favorite of mine, and pomelits in the winter. I also try to keep carrot sticks on hand for easy munching. Great ideas here, thanks. My tummy is grumbling after this post 🙂 Happy TT and have a great rest of the week! 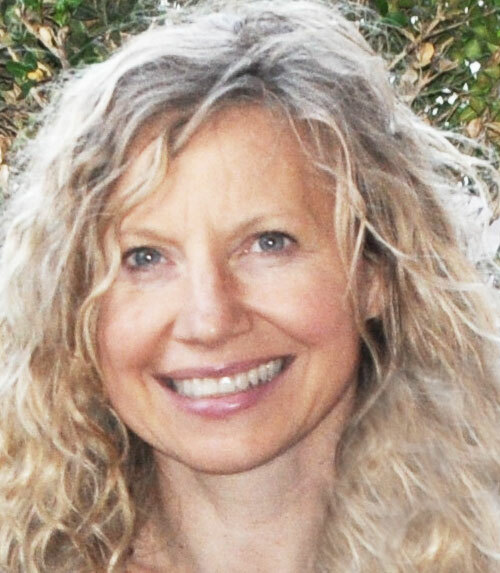 Best way to diet – don’t write! When I am really working I am like a human shovel. Celery is wonderful and crunchy. I’ll take the banana without the chocolate tho. Wonderful list. I love snacking better than I do full 3 course meals. Come on over, my 13 is funny this week. Great list. I had no idea these foods had only 100 calories. Happy TT!! Uhh… I sort of like those 100 calorie packs when I am in a munchy mood. It’s because they’re small; I can tell myself I had my fix and it’s time to go raid the carrots. I do love feta cheese. Yummy! The bananas look wonderful as well! 🙂 Great encouraging post! No way!! Chocolate covered bananas are under 100 calories…I am SOOOOOOO going to the store right now:) And if you freeze them, its even better. Happy TT. Oh, those chocolate covered bananas look divine… must try… good thing I’m going grocery shopping tomorrow. Loved your ideas….can’t wait to make the bananas for my kids! Sweet potato or only 7 gum drops? I’ll take the potato. great suggestions. My favorite would be low fat yoghurt with raisins thrown in. Mmmmm… sweet potatoes. Even better–roast wedges in the oven with some spice blend sprinkled on (Cajun is good, but I’ve experimented with different flavors). A decadent-tasting snack that’s under 100 calories is kids’ cereal–like Cap’n Crunch or Cookie Crisp, or whatever you like. Just read the box to figure out the amount you can eat–some cereals are more calorie-heavy than others. Great list, I’ll have to try a few of these out. Happy TT! I love dill pickles and you can have more than one. I think my jar says 5 calories per spear. Have to try the banana and chocolate. My personal favorite is a banana with a little bit of peanut butter. When my children were little, I would bake cake with half the sugar called for, use some whole wheat flour instead of all white, include raisins or other dried fruit in the batter, and omit frosting. The children loved it. For variety, we would serve the cake with applesauce or with a little milk poured over. My children also enjoy snacking on homemade granola.